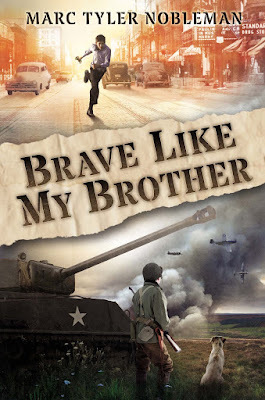 Brave Like My Brother, my WWII novel for upper elementary, is told exclusively via letters between 20-year-old Joe, stationed in England, and his 10-year-old brother Charlie. I don't want to spoil a key detail so I will be vague: the exchange pattern is not what most will be expecting. On a similar note, a few years ago I stumbled upon a haunting song called "Kilkelly," which also comprises a series of letters and tells the story of a struggling 19th century Irish family separated by the Atlantic Ocean. To call the song haunting is an understatement. Not only is the story utterly heartbreaking, but the the lyrics are so deftly written. Musically, narratively, and linguistically, it's an absolute pleasure—in a devastating way—to listen to.